Photos from a couple of different visits to the Devonian town of Axminster, which is connected on the extremity of several different networks. First serve from Weymouth and Taunton, while Stagecoach operate from Exeter. Axe Valley operate local services. 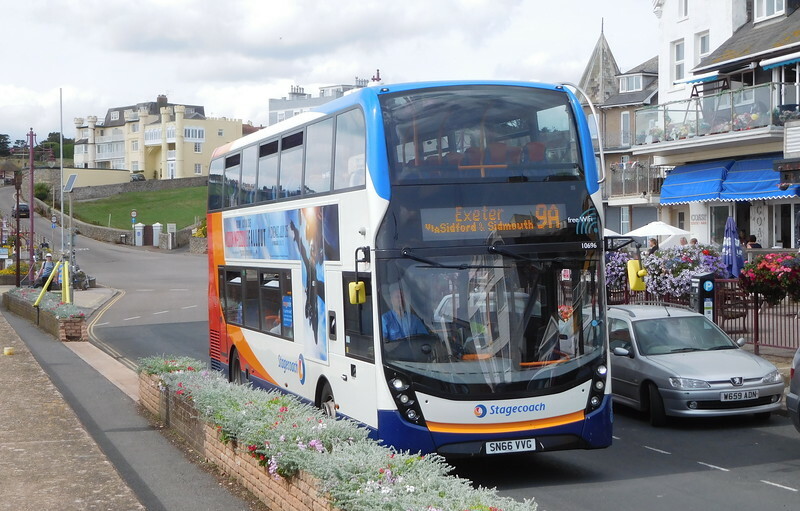 Seaton, meanwhile, on the coast of Devon is served by Stagecoach Devon on the Lyme Regis to Exeter 9A, with a number of different Axe Valley services.